Eating and drinking causes discoloration of our teeth. This most often happens without us even realizing or noticing the difference over time. Food and drink causes deposits to settle on our enamel which creates the discoloration of the teeth if proper dental hygiene is not practiced. Regular brushing and flossing can help prevent discoloration of the teeth amongst other issues. Not only will it help maintain the health of the teeth, but also their shine as well. 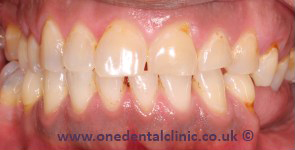 However, if there are some serious stains on your teeth, this may require stronger treatments. 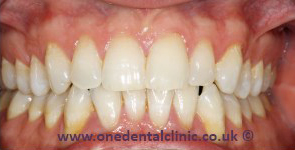 This patient wanted noticeably whiter teeth. 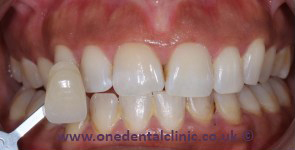 A course of combination teeth whitening, using Zoom power teeth whitening and Polanight home whitening, gave her the whiter smile she was after within 3 weeks of seeing us for a consultation. 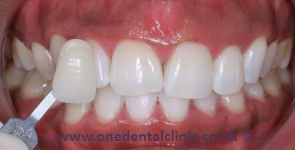 On your first visit we will examine your teeth and take impressions for the whitening trays. 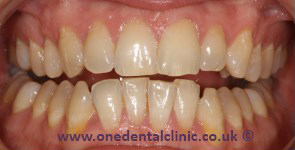 We will ascertain the level of discoloration and if you are a suitable candidate for this treatment. The ultimate whitening will be achieved by the laser whitening but the long lasting results is achieved through the home whitening. We will give you a MI-2 desensitizing paste to help prime your teeth for the whitening. We will prepare your teeth for the power laser whitening treatment. This includes using safety glasses and a protective barrier for your gums. The duration will be approximately 1 hour and 30 minutes. We understand this can be an overwhelming experience and we will do everything possible to make it a pleasant atmosphere for you. We encourage you to bring along your favourite music so you can sit back and relax while we professionally whiten your teeth. Your safety is taken very seriously and our number one priority during the treatment is your well being. We will take every precaution at the start, during and end of the treatment to ensure that the laser does not touch the soft tissue in your mouth. 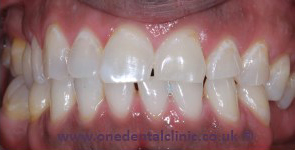 We use a technique called rubber dam to protect your gums during this treatment. We will also give you your uniquely prepared whitening trays and advanced whitening gel at this appointment. This will be used for the second part of the combination procedure and will take two weeks to complete. This kit will include instructions on how to use and we will advise you on the best practices for home whitening. On your third and final visit, we will conduct an examination of your teeth to assess how well the treatment has worked and to ensure we have reached your goal. This whitening technique offers the strongest results that lasts the longest. If you are interested in this teeth whitening treatment please do not hesitate to call us to arrange your free consultation today!